Catalogue > Cities: maps and sights of cities and villages > 2. 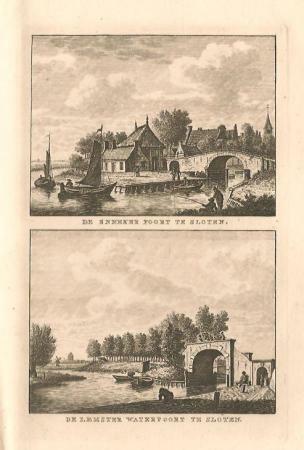 Friesland, Groningen and Drenthe > SLOTEN: Snekerpoort en Lemsterpoort. 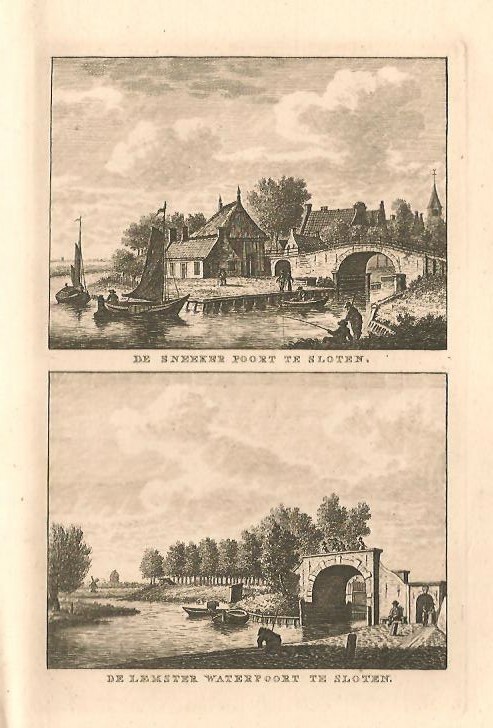 DE SNEEKER POORT TE SLOTEN./ DE LEMSTER WATERPOORT TE SLOTEN.